Well, we’re still here. Files cleaned and extra safety installed and we seem to have escaped for a few days. Fingers crossed. The worst part of all this, I think, is my reluctance to commit fingers and thoughts to keyboard because it scarcely seems worth the effort when the vandals sweep in and take over. So, what’s been happening otherwise, I possibly hear you asking. Not a lot! is my reply. It has been so very hot. We did take a trip to Limoges, just to a trading park or two on the periphery, on Monday and found ourselves returning there on Wednesday. Most uncharacteristic as we both dislike shopping. We bought an Airfryer. If any readers have one and wish to enthuse, I would be grateful for hints, tips and recipes. The thing is, we went out to purchase a deep fat fryer as I need to make Samosas for next Tuesday. Now I have to get to grips with a whole new skill and very quickly. 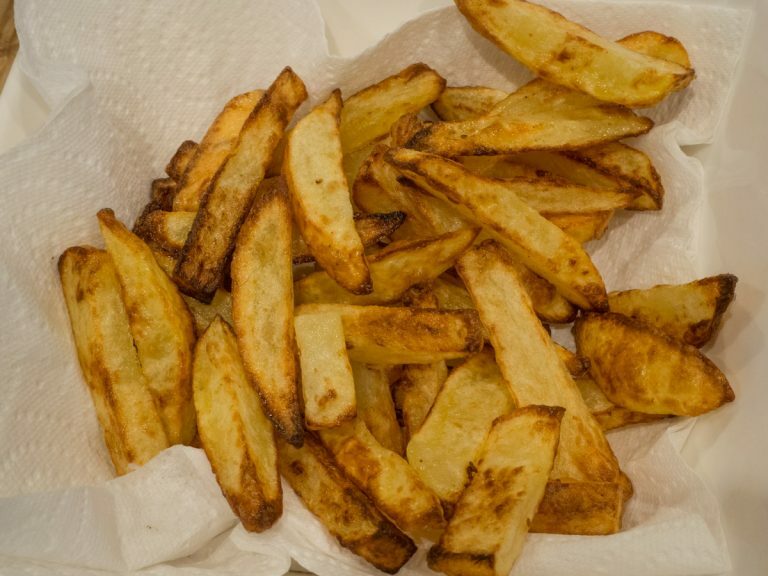 On Wednesday I experimented with chips and we were both very agreeably surprised by the results. Tonight I am going to try cooking some chicken. We also bought a wok at the Asian supermarket. This I seasoned yesterday and then used for a stir fry at dinner time. Happily the weather had cooled considerably. It was quite good to have some hot food for a change! The Airfryer was pressed into use for the Prawn Crackers and worked pretty well at that. 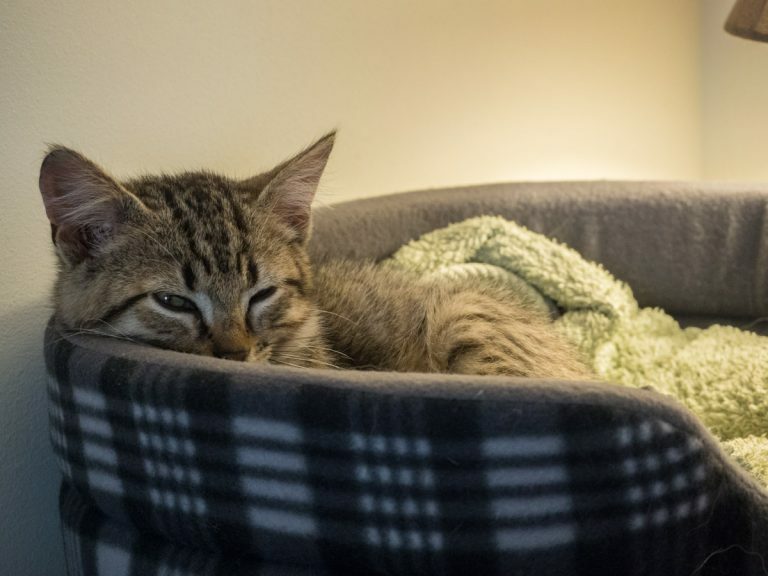 Dusty the kitten came into our lives four weeks ago today. He has completely seduced us and stolen our hearts. I wish that we could say the same of Cat, who seems to have a heart of flint where the kitten is concerned. She actually dabbed him one yesterday but he seems none the worse for that. Also yesterday, Dusty notched his activity up and is now getting into places that he could not reach before… such as the kitchen worktop and the bathroom sink. This morning he found his way into a chest of drawers, climbing in through a partially open drawer and then scampering around inside from drawer to drawer. It’s a 15 drawer chest… Rather like the Monty Hall problem (or maybe like Schrodinger’s box), it was very much a question of which drawer is the cat in now? As I write this, he is asleep in his bed on the table by the side of my computer, plum tuckered out. It won’t be long before he needs a new, larger bed. Growing like a weed, he is. Our Monday trip to Limoges had been in pursuit of a ladder. We failed to buy one so ordered one on the Internet and it has just arrived. I expect to be summoned shortly to act as Health & Safety while Mr L scales the ladder to fix the chimney so that no more birds fly down it. He will need to be careful, as there are hornets nesting under the tiles. He has that one covered however – we may not have found a ladder on Monday but we did find some highly toxic spray killer. I fear that he may wish to deploy it. I shall, in my H&S capacity, be supplying hat, face net, breathing mask, gloves… and an escape route plan. Apparently that last is an essential part of the process planning (according to Google). Me? I would rather go to the Mairie and enlist some professional help and let somebody else fall off the ladder.